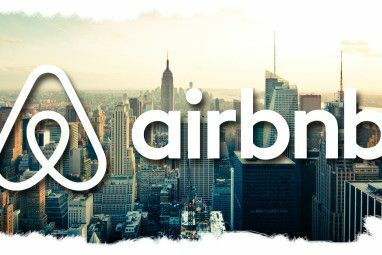 In the age of the Internet, you can often surpass traditional and expensive college and technical courses and learn practically anything online. And if you have a particular expertise in a subject and want to teach others, there is a large variety of online resources you can use to make money by teaching others Knowledge To Bank: How To Make Money On The Web By Teaching What You Know Knowledge To Bank: How To Make Money On The Web By Teaching What You Know These days, with declining job markets in different industries, there are a lot of people looking to change jobs, and sometimes changing a job means learning a whole new skill set. If you are a... Read More as well. Udemy is one such example of a popular online teaching and learning site that can be accessed online and from supported mobile devices. Udemy has over 8,000 free and paid courses on a wide variety of subjects including technology, business, design, arts, photography, humanities, music, and game creation. The site includes a well designed step-by-step process for creating your own course, which you can publish to Udemy’s growing community of nearly 1 million students and about another million monthly site visitors. 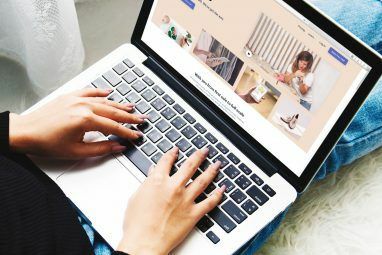 Creating a professional online course is similar to authoring a book, which once published, can possibly bring you residual income for years to come. Udemy provides straightforward tools for posting lectures and assignments in video, audio, presentation and document formats. A typical Udemy course contains 1-3 hours of content, with at least 60% video content. Most courses are priced between $29 and $99, but many are free. Instructors earn 70%-80% of course revenue. Before you start creating your course, you will want to visit Udemy and view several of the existing courses to see what they consist of and how they are run. Each category of courses, such as technology, has a collection of free classes, such as this one on Getting Started with Google Analytics, that you might consider taking. You will also want to do a search on the site to see if and how many other courses are posted on the topic you plan to teach. Though similar courses as yours may already exist, you might cover the subject from a different angle, or delve deeper into a particular aspect of the subject. You might even teach it in a different language. Udemy courses consist of a series of lectures students go through at their own pace, which is a great advantage for this online service. As an instructor, your job is to create presentations and lessons that are clear, concise, and engaging. Udemy asks that at least 60% of your lectures be video based. To accomplish this, you mostly need a desktop video capturing and production application, such as Camtasia or ScreenFlow, and a good USB external microphone. You may also need a good video camera and lighting condition if you plan to include yourself in the videos. Using these tools does take time and skill, but instructional videos have proven to be the best way to teach most students. Your other lectures may consist of a combination of PowerPoint, Keynote or similar presentation tools Better Than PowerPoint: 3 Online Tools for Creating Gorgeous Presentations Better Than PowerPoint: 3 Online Tools for Creating Gorgeous Presentations Whether it be for school, your professional life, or pretty much any other reason, presentations are some of the most useful tools for organizing and conveying information to others. Everyone creates them on a regular... Read More . Audio lectures and traditional text documents can also be useful. Keep in mind that students might be taking the course using not only their desktop or laptop computer, but also a mobile device. Students should be able to take notes and even leave questions for you in the course module, and you might even post assignments or tests for the purpose of helping students evaluate their understanding of the material and apply what they have learned. Once you have decided on your course subject, it’s very important that you don’t go right in and start uploading material. First, and most importantly, create a course outline. I’m using Cloud Outliner for this purpose, but there are several other outlining applications 5 Tools For Outlining Ideas For Writers And Artists 5 Tools For Outlining Ideas For Writers And Artists An outline is nothing but a hierarchical breakdown of what you plan to write or create. Arranged according to levels of importance and flow, and marked by numbers, roman numerals, headings-subheadings, indentations, or any other... Read More to choose from. The outline allows you to move lecture topics around and shape the course so it makes the best sense. Udemy contains a course management system and process for creating your course at your own pace. You might start off writing your course summary, goals and objectives, intended audience, and course requirements. You want to keep your course and objectives in mind as you create the outlines and different lectures. Finally, the bulk of the work involves producing well thought out and interesting lectures. This may take a week or so, and you may have to revise a few lectures if they don’t seem clear to students taking the course. Based on my experience so far, I suggest that you write brief outlines for your lectures, and rehearse what you will say and demonstrate a few times before you hit the record button. As you complete your lessons, you can upload them to your Udemy account, where you can add titles and descriptions and re-order the content as needed. You will need to create an engaging Promo Video and Cover Image that potential students will view when they visit the course homepage. I recommend creating the promo video after you complete most of your lectures; that way the promo video will reflect what you will actually cover in the course. When you’re ready to publish your course, you can decide to post it for free or paid tuition. If you’re in business for yourself, or you’re a consultant, you might make the course free in order to attract clients. Creating a Udemy course is relatively easy, but you do have to actually set aside time and complete the project. If you happen to be reading this article before August 22, you should register for Udemy’s first Create-a-thon, which consists of a weekend (August 24-25) in which you set aside time to complete an aspect of your course—e.g., a course outline, a couple of lectures, or a promo video. The event will include prizes, and each participant will receive a professionally designed course cover image. I’m in the process of creating my first course, and I can tell you that if you know your subject matter, creating the video lectures is easier than writing a book. 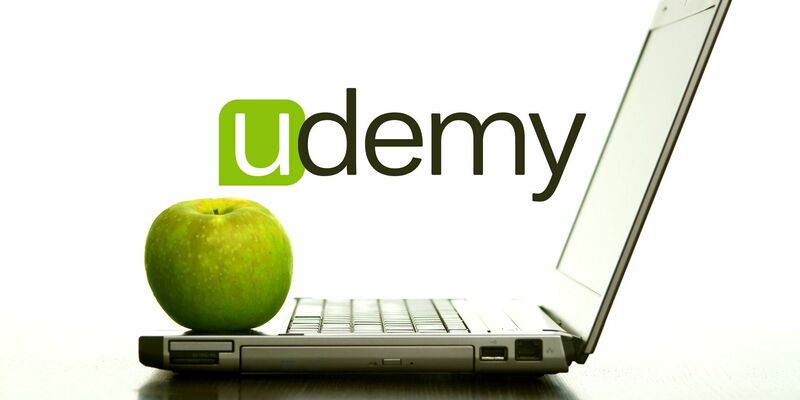 After you get a chance to check out Udemy, let us know what you think of the online service. If you’re already an instructor for the course, please share your experiences and tips for creating a course.